Last month I set myself a goal of cutting back on how much Diet Coke I drink, and this month I’d like to drink more water. I’m terrible for not drinking enough, and lately I’ve been trying to make more effort to do so and it’s making me feel a lot better. I want to stick to this this month, and hopefully this will help me with getting Diet Coke cut out a little more too. As well as trying to cut back on my bad Diet Coke addiction I’m also trying to eat less sugar. I am terrible for snacking on chocolate or other processed food which is high in sugar. My sugar addiction has been a bit out of control lately, and my friend Kayleigh has given me some great tips to try and wean myself off of it and onto good sugars. Hopefully this month I’ll stick to it and see some benefits from cutting back on my sugar content. I am terrible for not getting enough exercise. Despite the fact I live a whole 5 minute drive away from my gym, I rarely get there. I have my personal training once a week, but other than that I’m rubbish at getting any exercise. This month I want to try and up my activity, and try and get to the gym a little more. It’s been a while since I’ve done anything crafty, which is a big shame considering I love doing little crafty projects. I have loads of knitting projects I’ve been working on, including something for my niece or nephew that’s due in July, so I better get on with them! Last month I set myself a goal of losing half a stone and achieved it, so this month I’d like to try and aim for my 1 stone off! Fingers crossed. February was a quiet month on the blog, with only 11 posts compared to the 20 I wrote in January. 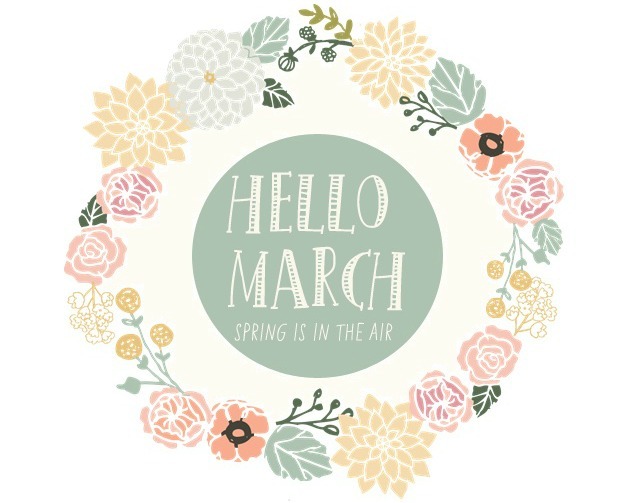 This month I want to try and get my blogging mojo back a little, and hopefully blog more!